Awesome Friday! Jared Leto Archives - Awesome Friday! Review: ‘Blade Runner 2049’ is as good as the original. 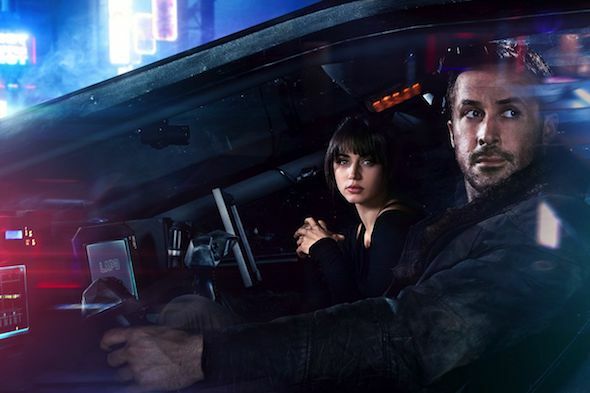 Movies, Reviews / Comments Off on Review: ‘Blade Runner 2049’ is as good as the original. The original Blade Runner is held up by many as the gold standard of dystopian existential science fiction films. It asks questions about the nature of humanity and what it means to truly live while at the same time painting a picture of a world that seems to have broken under the weight of more people being alive than ever before. It’s an acknowledged masterpiece –even if it took a decade or two and two different directors cuts to get to that status– and that’s a lot to live up to. And I’m here to tell you that it does. I’m also here to tell you that you should probably go into it as cold as possible, so maybe bookmark this and come back to it after you’ve seen the film to see if you agree with me. I’m not going to say any major spoilers but regardless, this is your warning. Pictured above is the look of The Joker as he’ll appear in Suicide Squad and the rest of the DC Movie Universe. He’s played by Jared Leto, who I actually rather like, and he looks… different. With (our good friend) Tom Hardy as Rick Flagg, Margot Robbie as Harley Quinn, Jai Courtney as Boomerang, Cara Delevingne as Enchantress, and Will Smith – yes, that Will Smith – as Deadshot. As reported by io9, this casting finally ends the rumours as to who will play the collection of supervillains. Suicide Squad sees them forced to come together to carry out the government’s dirty work, so it could work really well. Some interesting casting choices there – I’ve no idea who Rick Flagg is but Tom Hardy is always good value, and Margot Robbie playing Harley Quinn is a fantastic choice. Also, my countdown timer for when Will Smith pulls out has started. However, it’s Jared Leto‘s takeover of the Joker role that will have the most focus. He certain has the intensity, but does he have the dark humour? Final request, though: CAN HOLLYWOOD PLEASE STOP CASTING JAI COURTNEY. IN ANYTHING. EVER. Ahem. Thanks.